Predict & win paytm cash– Hi guys, welcome back to avjtrickz. Hope you are enjoying our monthly Giveaways. Here is another opportunity to earn Paytm cash by just predicting the score in upcoming Ind vs Newz T20 matches! There is Ind vs Newz 3 match T20 series coming starting from November 1. You just need to predict Indian innings total score in every match in the given period of time to win free Paytm cash. So don’t miss this chance, let’s go! 1. Just comment Indian innings score in the comment section. 2. Also add your Paytm number in separate box given for the mobile number. Don’t add number in comment text. 5. In case of any tie, who commented first will be the winner. Winners contact us on WhatsApp! 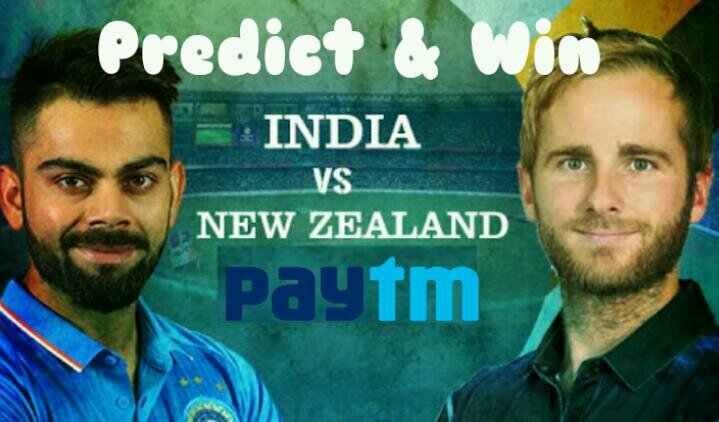 Just predict your score and win free Paytm cash! ▪ winners will receive Rs.50 Paytm cash within 2 weeks after the contest. ▪ In case of any tie, who commented first will be the winner. ▪ Add paytm number only in separate box given for the mobile number. If you add number in comment section, then you will be disqualified. We are updating here bro! Thanks, for all participants. Some users attempts to fraud activity. They will be disqualified from all the Giveaways.